Not sure if you know Chuck Risen (TJ, John, Justin, etc and the FVMC guys know him well). 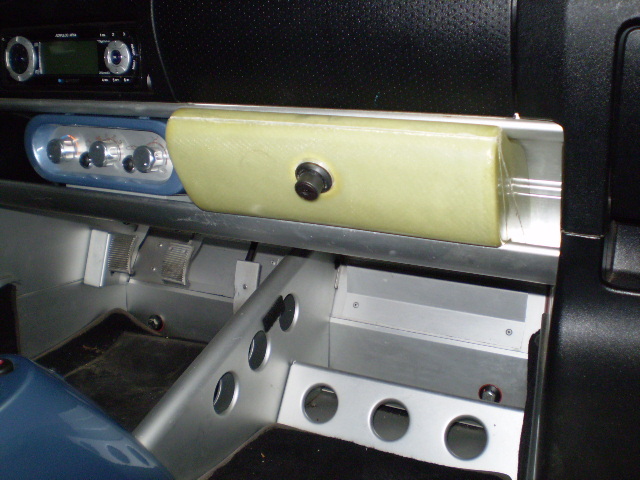 Chuck could paint it (and your other parts) the OEM color to match and it would look oh so purty! He's getting his new shop set up (western burbs of Chicago), but I think he'll be online shortly. I would look very cool. Hey Kevin, it's looking great! I just sent this link to the guy at my upholstery shop. I'll most likely have him rig something that covers the right hand open space between the end of the back and the sill vertical. The box lines up nicely with the lines of the airbag. 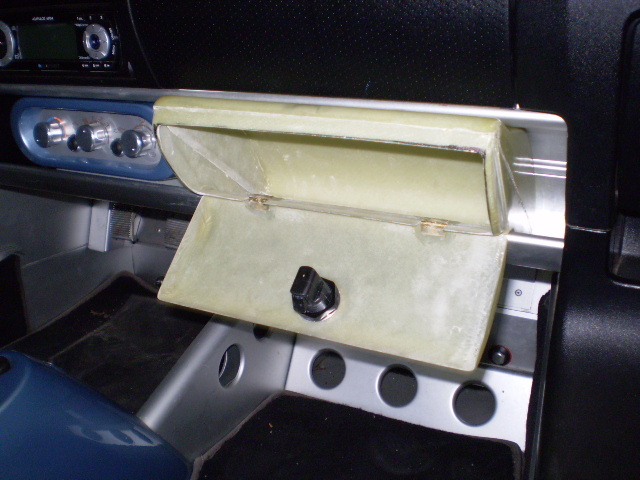 Most likely will have him just cover a piece of lexan or thin MDF with the matching alcantara to fill that in. I'll have the box shortly and the car interior will be done in the next 2-3 weeks. Can't wait and looking forward to posting pics. hey j,your box did make it out today.i look forward to seeing it when finished.good advice on chuck for the paint work.he does nice paint jobs. Awesome. Do you have a tracking number? I've got about a million things on order and I'm traveling this week so need to tell my lovely bride to look for stuff. As for Chuck, I've seen his car and his work up close and personal. His painting is bang on. Seriously, you cannot tell the difference between it and OEM. Perhaps you and he can work something out where he does the painting for you and you can sell the eGlass boxes already painted - for example, rather than raw, you can sell a 'graphite gray' or 'ardent red' fibe box. I honestly think those would be hotter commodities versus the expensive and somewhat limited carbon boxes. Would look especially tasty if the AC surround was painted as well. Hello guys, i've just received my CF Glovebox and it is sweet! Thank you Kevin, you are the MAN! PS. will post pictures later, it is too dark outside to take pictures right now. My interior is 85% done - and looks INSANE!!! 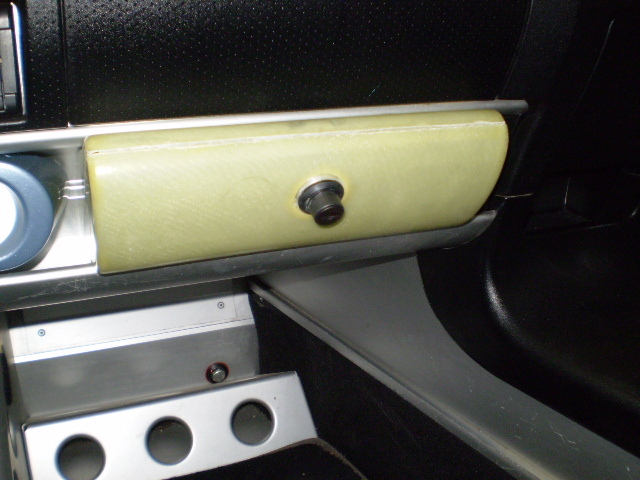 I'll have the glove box covered in alcantara and will post pics by the end of this week. thanks guys.good to hear you are pleased with them. Are you still selling them for the same price? yea.i will make a few more in glass unpainted for 200$the carbon box i just did was a lot of work for what i charged.i will have to think about that for awhile. 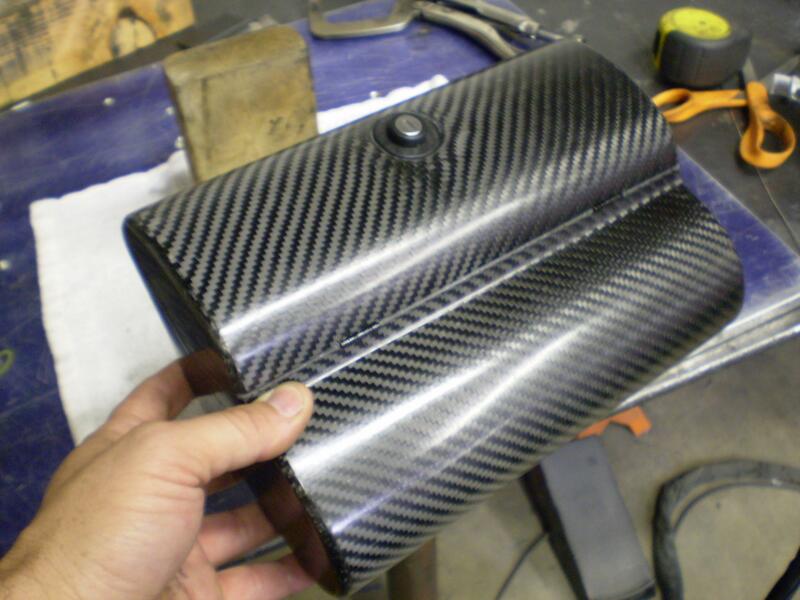 here are a few pics of the 2nd carbon box i built.i think it turned out very nice.all the seams where taped and filled with black epoxy.then wet sanded and polished.the lock is much smaller and looks a lot better too.im still working on a price for the carbon. Last edited by kmt63; 06-12-2010 at 09:01 PM. sorry for the big pics.im not sure what is going on with the resizing on this website.i have done this many times in the past and the pics come out in the regular size. Here's the fiberglass one - all dolled up and lookin' purty. The pics make it look kinda charcoal grey, but the box (as well as the dash, etc) is covered in black alcantara. They lined the inside in black felt - VERY nice and has a very OEM vibe to it. 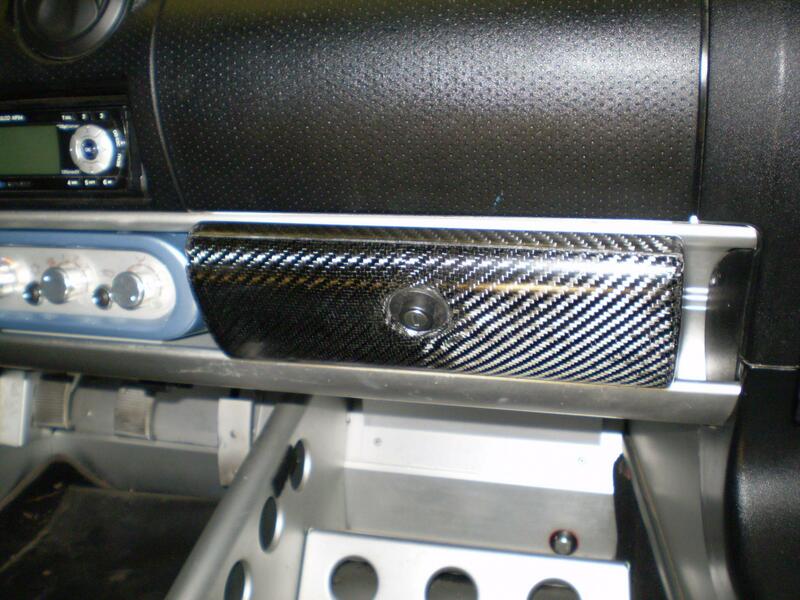 They also covered the AC surround in black alcantara and made little alcantara covered foam inserts to fill the gaps. Looks like one complete solid unit. I will tell everyone that the fit is VERY tight. I wish I would have had about 1/16 more clearance, but then again, it isn't going anywhere and that's the whole point!! BTW - more pics of my interior pimpage coming soon! looks good.i didnt think they would be able to cover behind the door with the tight clearance.looks like they made it work.the handle looks pretty good facing down too. Sorry - I couldn't find it in any of the previous posts: what are the different prices for fiberglass / matte carbon / wet carbon? I would probably be ok with fiberglass unpainted, but if you can paint, that would be great too. Great idea! 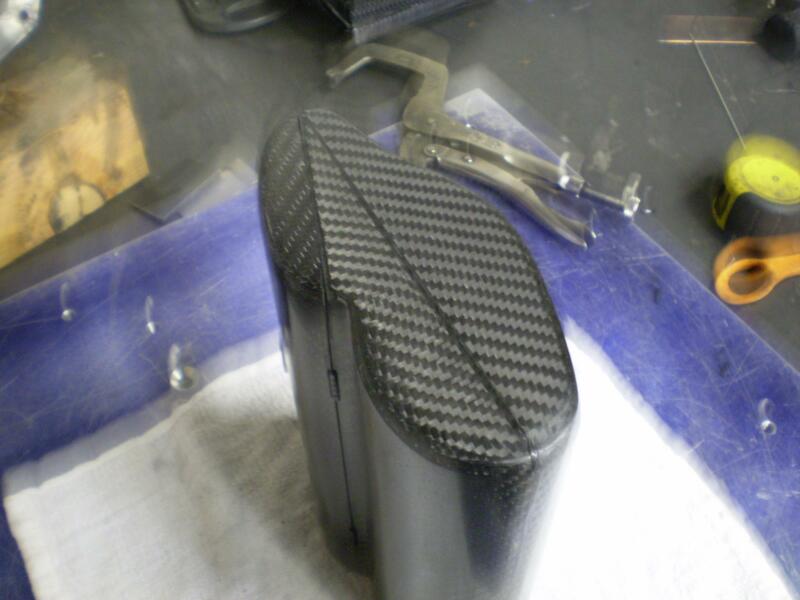 the price for fiberglass unpainted is 200$it was a page or so back where i posted that.the carbon price hasnt been posted.i can only do gloss carbon.i dont really have a method for matte.the carbon box pictured above i sold way cheap.so this is why im thinking on the price.i need to pay myself a few more dollars to make these. I'd be interested in the CF version..once u determine a price. Great work!! Received Kevin's glass box a couple of weeks ago, and slowly painted it with Krylon Any Surface satin black spray paint. I then lined the inside with self-stick black felt from the local AC Moore (there are 2 kinds, soft and stiff, and they have different labels, so you can see the label in one pic). 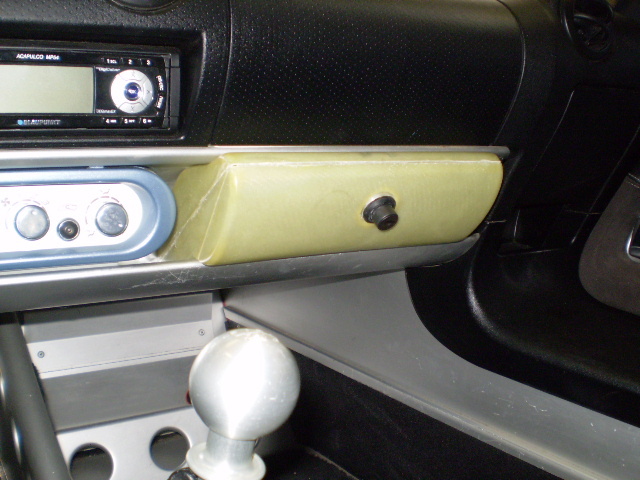 This color - as you will see in the photos - is blacker and shinier than the plastic, however, as I am planning to replace the dash pieces with leather wrapped pieces, it is a very close match in terms of color and shininess with the standard black leather; note the gear shift gaiter for comparison. Thanks fir posting Craig.the semi gloss black looks nice.the felt is a nice touch too. Interesting project. It looks like it's fairly high quality, and it looks you've made efficient use of space. But am I the only one here that thinks it looks like someone stuffed their purse into the dash? 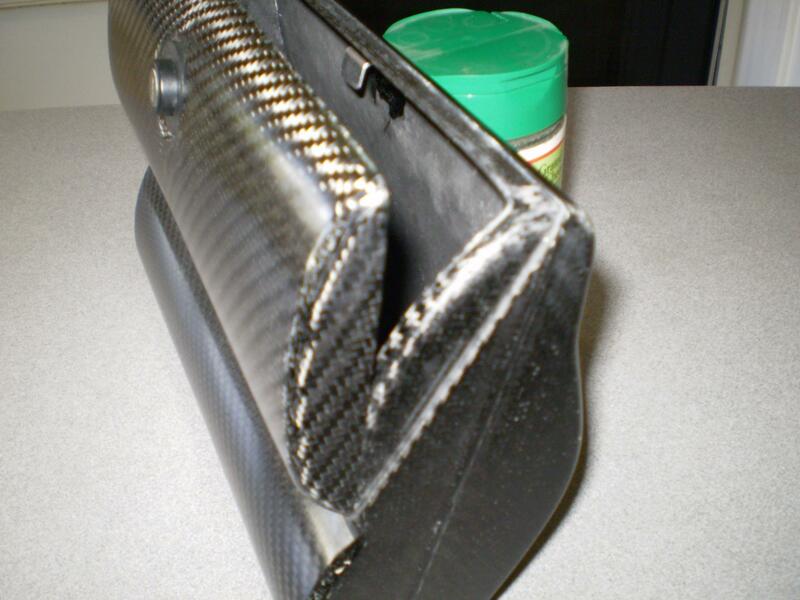 Especially with the shiny carbon fiber?